Mumbai: Avengers: Endgame co-director Joe Russo on Monday revealed that he is in talks with Indian star Priyanka Chopra for a project. The 47-year-old filmmaker, who is known for giving Marvel Cinematic Universe (MCU) a grounded tone along with his brother Anthony Russo, finds Priyanka "fantastic" and would love to work with her. "Priyanka is transitioning into global status now. She is fantastic... (I would) Love to work with her... I am potentially talking to Priyanka for something. I am not going to say what it is," Russo said in a group interview here. Last year, Marvel Studios chief Kevin Feige had said that they are planning to make a standalone on superhero Ms Marvel aka Kamala Khan. After the news broke, many fans on social media expressed their desire to see Priyanka playing the character of Marvel's first Muslim superhero. Russo is currently in India to promote the MCU's much-awaited superhero ensemble, Endgame, which will hit the theatres on April 26. The filmmaker said as an action director Indian films like Dabangg series were an interesting watch for him. "I'm an action director so I saw Dabangg many years ago and then Dabangg 2. I thought the camera work was great in these films. The tone and the energy is also great. So, I certainly know Salman Khan," he added. Russo also revealed that the climax of Marvel's 2015 film Avengers: Age of Ultron almost had a scene inspired by Rajinikanth's 2010 blockbuster Robot (Enthiran). "Robot almost influenced the climatic moments in Avengers: Age of Ultron... In one of the final scenes all the Ultrons were suppose to form a large Ultron and Avengers were set to fight that but the sequence got cut for time. It was this close. I was inspired directly by Robot," he added. 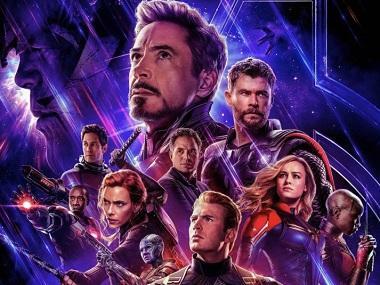 Avengers: Endgame marks the final film within the Marvel Cinematic Universe's current generation. It comprises 22 films, including Spider-Man: Homecoming and recently released Captain Marvel. 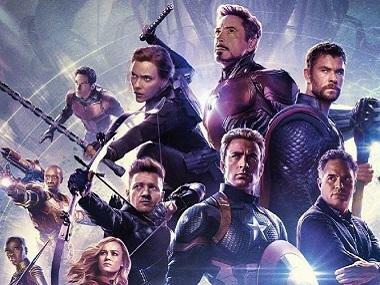 The movie features an ensemble cast of Robert Downey Jr, Chris Evans, Mark Ruffalo, Chris Hemsworth, Scarlett Johansson, Jeremy Renner, Don Cheadle, Paul Rudd, Brie Larson, Karen Gillan, Danai Gurira, Bradley Cooper, Tessa Thompson and Josh Brolin. The film will release in India in English, Hindi, Tamil and Telugu, with a special theme song composed by music maestro AR Rahman.